Have you ever seen a pelican dive for a fish? 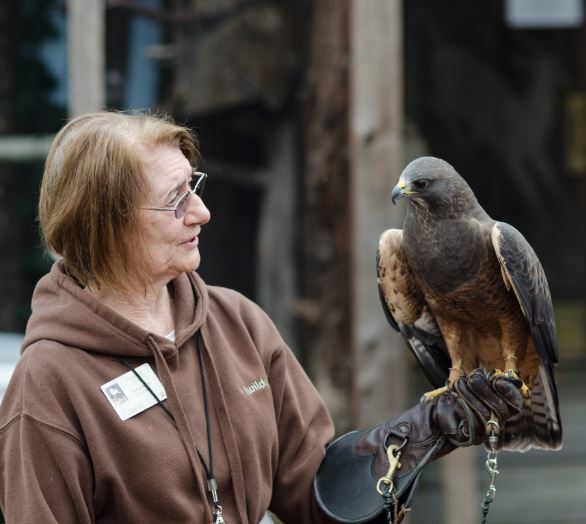 Or met a Swainson’s Hawk in person? Visit WildCare’s Courtyard for nose-to-beak encounters with our amazing live Wildlife Ambassador animals! WildCare is free to visit, and open to the public 365 days a year. 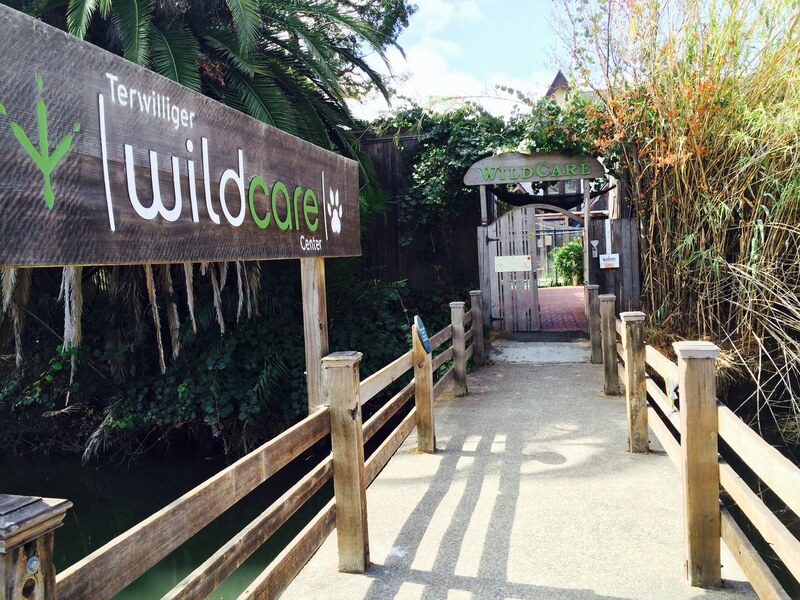 Whether you’re bringing an injured animal to our Wildlife Hospital or just looking for an amazing adventure for your kids, WildCare is the right place, located conveniently in downtown San Rafael. WildCare’s courtyard is open to the public seven days a week from 9am to 5pm (hours may be abbreviated on major holidays). Click for a daily schedule of live animal presentations. Visit and Shop WildCare’s Onsite Store! Looking for a unique wildlife-themed gift for that special someone? 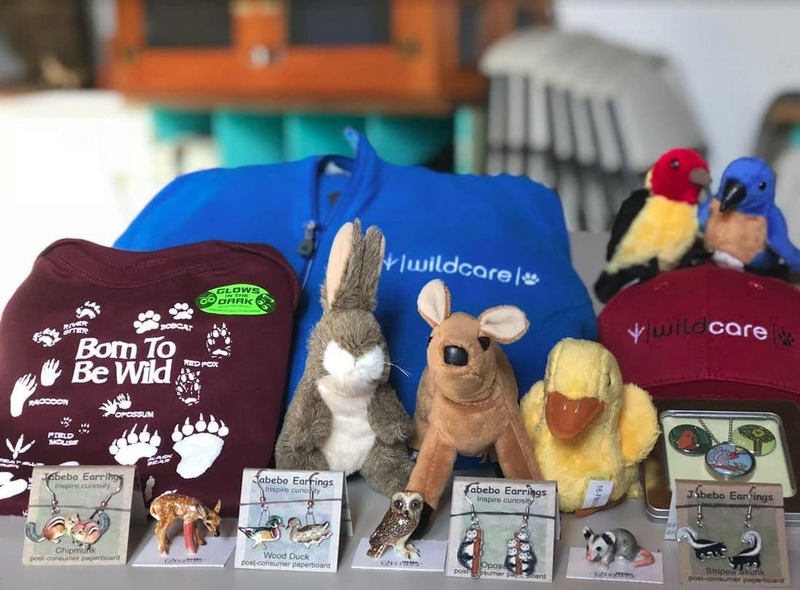 Visit WildCare’s onsite store and choose from a marvelous collection of fun jewelry, figurines and finger puppets, T-shirts (for all ages), fleece jackets and more! Enjoy meeting our Wildlife Ambassador pelican, vulture and opossums too, while you’re here. Please note: WildCare’s Nature Summer Camps are held in our museum during weekdays from early June through mid-August. Accessibility to our indoor museum may be limited between the hours of 9am and 3:30 pm on those days. Our Wildlife Hospital accepts patients from 9am to 5pm. Call our Living with Wildlife Hotline at 415-456-7283 for more information and assistance. Park across from the footbridge. Cross 2nd Street and continue down B Street, past Safeway. Follow directions above for “From the South”. Take the first right onto Albert Park Lane just ahead; Park across from the footbridge. Busses run approximately every 15 minutes during the week and once an hour on weekends. The ride takes about an hour and costs 3.75. Get off in San Rafael at 3rd and Hetherton (Central San Rafael). Walk west on 2nd Street (against the direction of traffic) 2 blocks to Lindaro. Go left on Lindaro and walk one and a half long blocks to Albert Park Lane (just past the tennis courts). Turn right on Albert Park Lane, and WildCare is on the left, across the footbridge.